A total of $650,000 in Breeders Fund award monies were distributed to the state’s breeders in 2018 courtesy of 209 wins and $3,197,080 purse monies won by their Virginia-bred and sired horses. $620,000 was dedicated to the breeders award and $30,000 to stallion awards. That figure is up $100,000 from $550,000 distributed in 2017. Top award earning breeder was the William Backer Revocable Estate, whose $64,772 came courtesy of 19 wins. Both Paulita and Divine Interventio collected a trio of wins apiece for the Estate. The former captured a maiden special weight race at Monmouth May 12th followed by wins in the Brookmeade and the William Backer Stakes at Laurel. The latter, runner-up in the ’18 Punch Line Stakes, took a pair of allowance wins at Laurel and a claiming race at Saratoga. Paulita and jockey Jorge Vargas return to the winners circle after capturing the 2018 Brookmeade. Morgan’s Ford Farm earned a dozen separate awards last year that totaled $45,502. 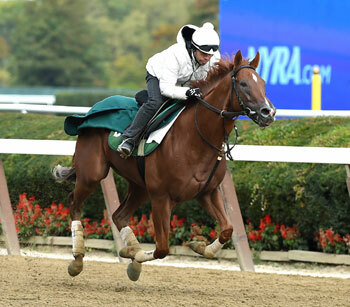 River Gal’s win in the Jamestown Stakes resulted in a $8,207 bonus while Realm accounted for over $19,000 in awards by winning the Alydar Stakes at Saratoga and an allowance race at Belmont. Their River Deep, co-bred with F and F Stable, won a pair of Virginia-bred stakes — -the Hansel and Bert Allen. All Call, with a trio of wins, prevailed twice at Arlington and once at Hawthorne in his 50th career start. 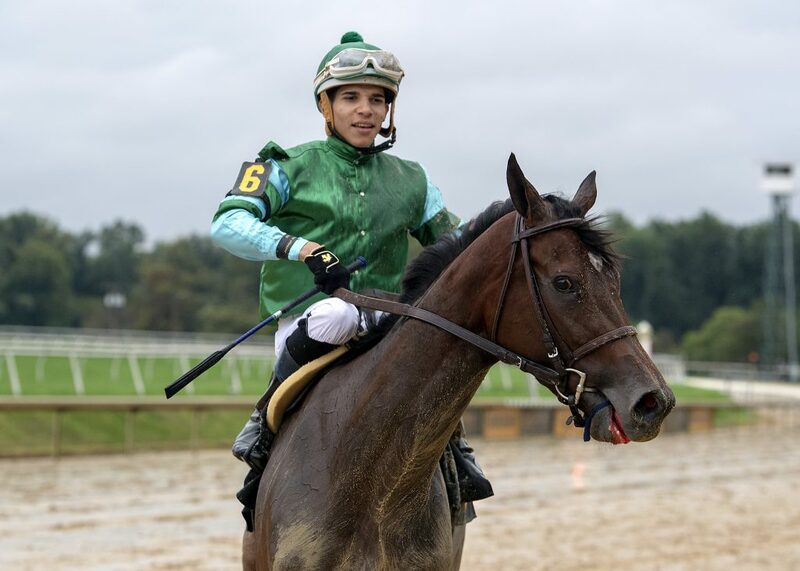 River Gal won the 2018 Jamestown Stakes at Laurel. Photo by Jim McCue. Chance Farm was third in bonus winnings with $28,865. Altamura accounted for that entire amount from four wins at Laurel, three of which were stakes. The 4-year-old filly scored $8,000-plus bonuses in the Oakley, Camptown and Tyson Gilpin Stakes. Snow Lantern Thoroughbreds’ bonus winning bankroll of $28,764 came from millionaire horse Long On Value’s only two starts of the year. The now 8-year-old Value Plus horse scored in the Grade I Highlander Stakes at Woodbine and in the Mighty Beau Overnight Stakes at Churchill. Long On Value, a million-plus dollar earner, was bred by Snow Lantern Thoroughbreds. Jim Fitzgerald & Katie Fitzgerald followed closely in fifth with $28,407. Elusive Mischief connected three times, all of which came at different tracks. 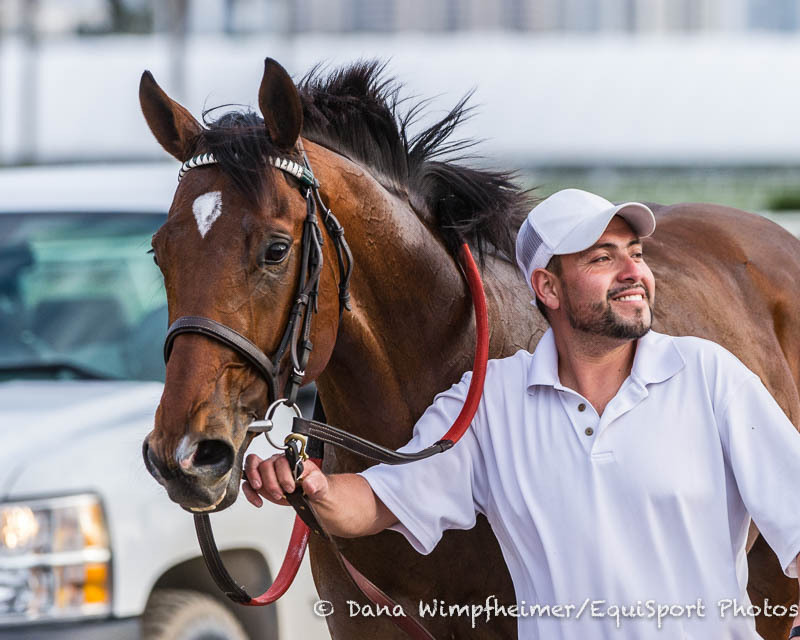 The Into Mischief colt captured the Punch Line Stakes at Laurel, an allowance optional claimer at Woodbine and a maiden special weight at Fair Grounds. Other breeders with $20,000-plus bonuses include Albert Coppola, who received the biggest individual award of $25,000 (capped) for One Go All Go’s win in the $150,000 Dixiana Elkhorn Stakes (Gr. 2) at Keeneland. Three wins each from Moonlighting Majic and Once More For Love, along with Homespun Hero’s win in the Meadow Stable Stakes, pushed Mrs. C. Oliver Iselin III’s award to $24,063. Lazy Lane Farms’ ($23,771) seven wins were highlighted by Tyfosha’s $8,374 bonus from a maiden special weight win at Oaklawn and Forloveofcountry’s $6,600 bonus score at Del Mar. Miss Gray’s four wins, which tied for the most along with Altamura, Good Sport and Braxton, helped boost Lady Olivia at North Cliff’s award total to $22,074. 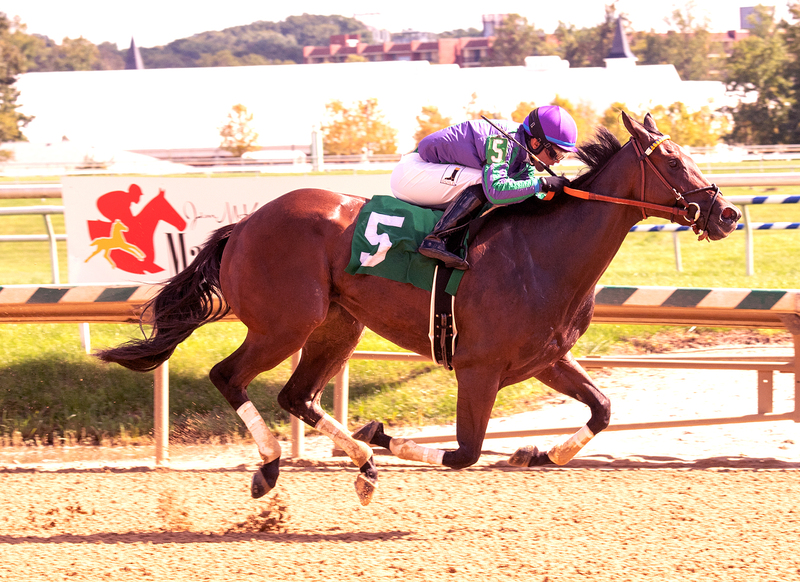 Sara Collette’s ($20,285) Zanclus collected a $13,027 bonus for winning the Virginia Gold Cup Timber Stakes. And Hold Me Black’s trio of wins got Mr. & Mrs. C. Oliver Iselin III to the $20,091 mark. Homespun Hero was bred by Mrs. C. Oliver Iselin III. Other notable $8,000-plus individual bonus wins were recorded by Armoire (Mr. & Mrs. Bertram Firestone) from the Nellie Mae Cox Stakes, Determined Vision (Althea Richards) from the White Oak Farm Stakes and Sticksstatelydude (Canyon Lake Thoroughbreds) from the Edward Evans Stakes. Three different breeders shared $30,000 in 2018 stallion awards from a total of 19 wins and $514,689 in purse money earned. Phyllis Jones scored the highest amount, collecting $16,711 from eight wins via their stallion Friend or Foe. Four of those victories were by Mr. Buff and a pair by Code Red. Lady Olivia at North Cliff was next with $6,935 from eight wins courtesy of their stallion Cosa Vera. Accountable and Zarbanda each got a pair of victories. Breeder Sara Collette was third with $6,353 from her stallion Xenodon.